The application allows you to easily keep track of the production of commodities, as well as to perform their inventory control. You can specify the components of an article and its production costs. 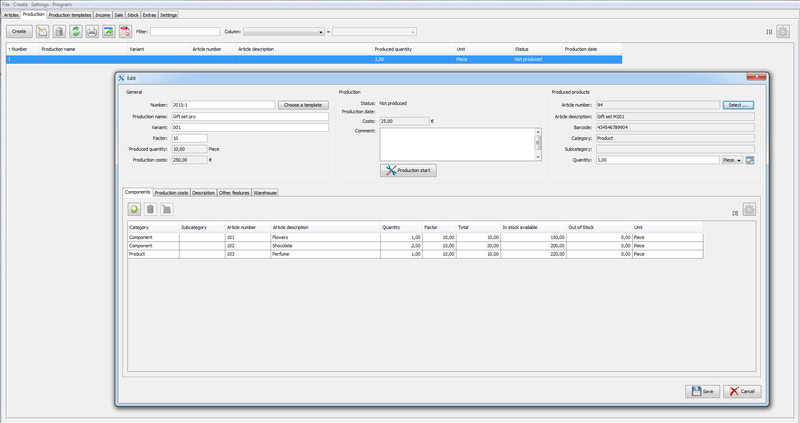 When creating an article, the required components are automatically debited from stock and a new article is added. When creating an article, you can specify production titles, variants, detailed description, as well as other parameters. You can specify your goods number, name, description or barcode, as well as divide them into different categories and subcategories. In addition, you can add other categories, such as status or different prices, and an unlimited number of photos. It is possible to filter your products by any necessary criteria and look up them directly in the search field by specific feature. 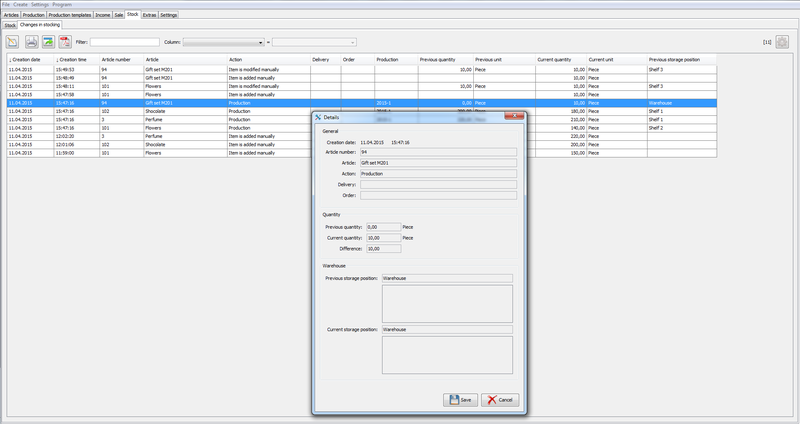 Among other things you can save the list of products in PDF-format, export it into CSV-format and to print. 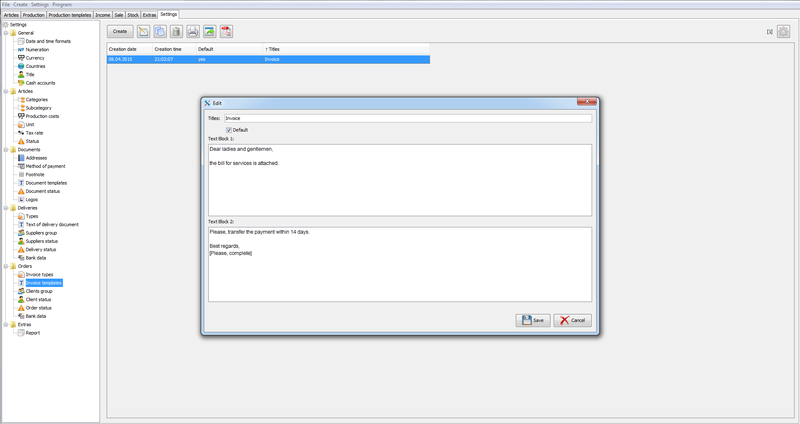 The application supports the creation of production templates. 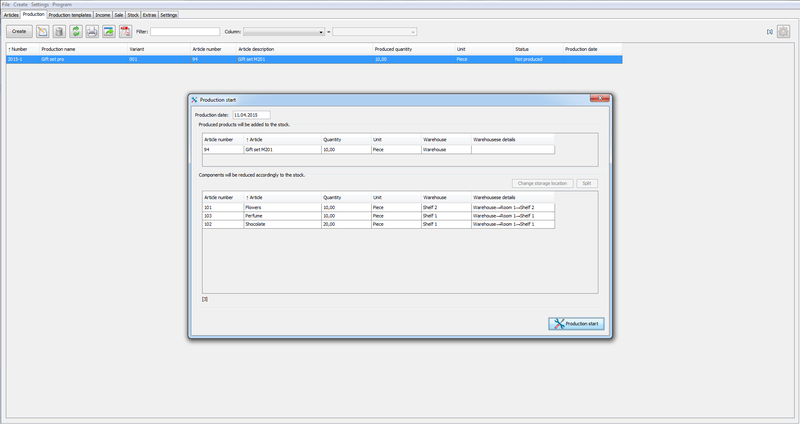 This feature can significantly speed up your inventory operations. The program provides a straightforward overview of manufactured articles, as well as production stages. In the inventory tab, you can view the goods location, number of available goods, and buying/selling price. 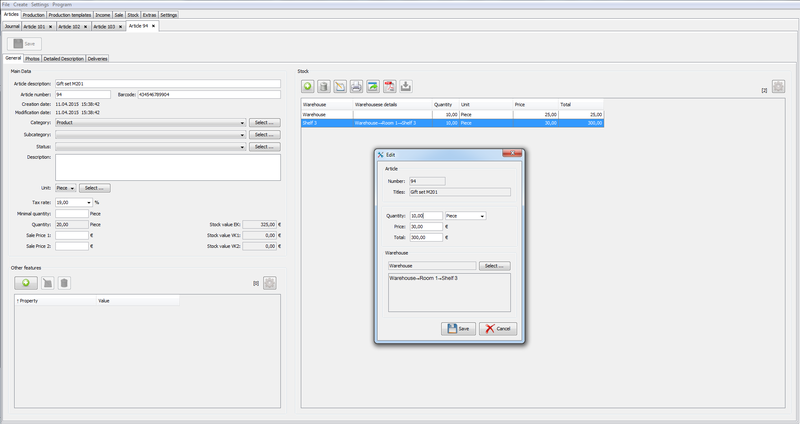 The Explorer feature enables you to easily add, modify, or remove individual items, numbers, prices or storage places. Various overall review options allow you to display the contents of your warehouse by category or status. Likewise, you can fully review possible shipments and inventory. In addition, all of this can be represented as a graph for the required period of time.